According to InThe80s.com, the average price of a new car in 1983 was $6,100. Thirty years later in 2013, it's $30,000. Despite the fact that inflation drives prices higher every single year, for some reason people still associate playing arcade games with a single quarter. In today's economy it is almost impossible for quarter-based machines to be profitable; in an attempt to survive in today's marketplace, arcades have been forced to evolve and adopt new business models. There's the "pay a single fee and play all day" model which has been successfully implemented by the 1984 Arcade and Arkadia Retrocade. There are places like Dave and Busters and Gattitown that lure you in with games and make their profits from food and drink. Another model involves combining arcade machines with console video game sales. Nashville-based Game Galaxy has been successfully doing this for years. 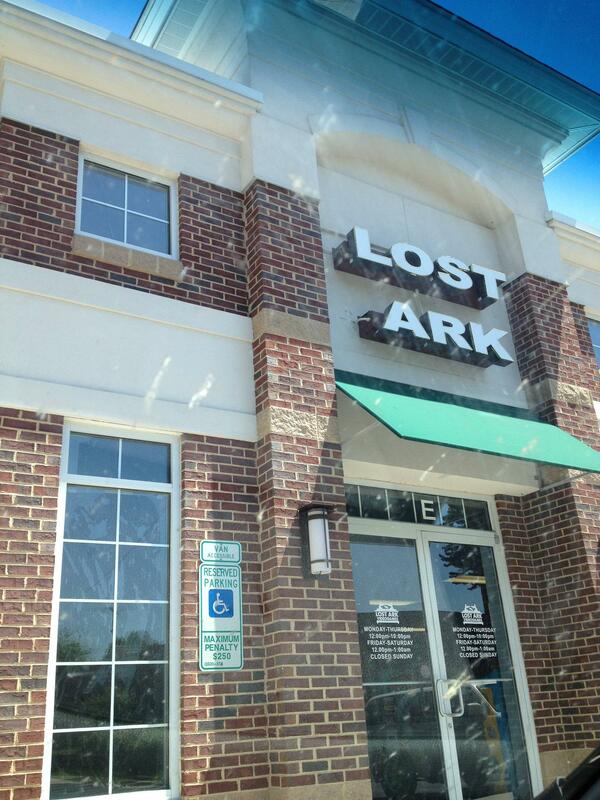 Another retro arcade that has implemented this business model is Lost Ark Video Games in Greensboro, North Carolina. What catches your eye first most likely depends on what you're in to the most. The center of the floor is filled with racks of video game cartridges, with everything from Atari 2600 carts to Xbox 360 games lining the shelves. In a large glass case near the entrance is the shop's museum area. 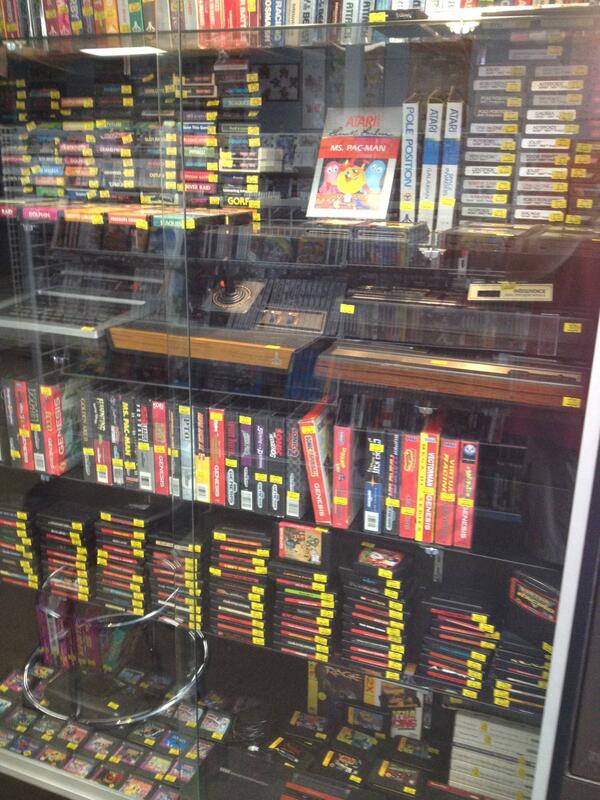 You can practically smell the nostalgia dripping off of the boxed Atari 2600 games. Pushed out against the exterior walls are the Ark's cabinets -- 10 classic arcade games, 10 Japanese-style candy cabs, and 10 pinball tables for a total of 30 machines. 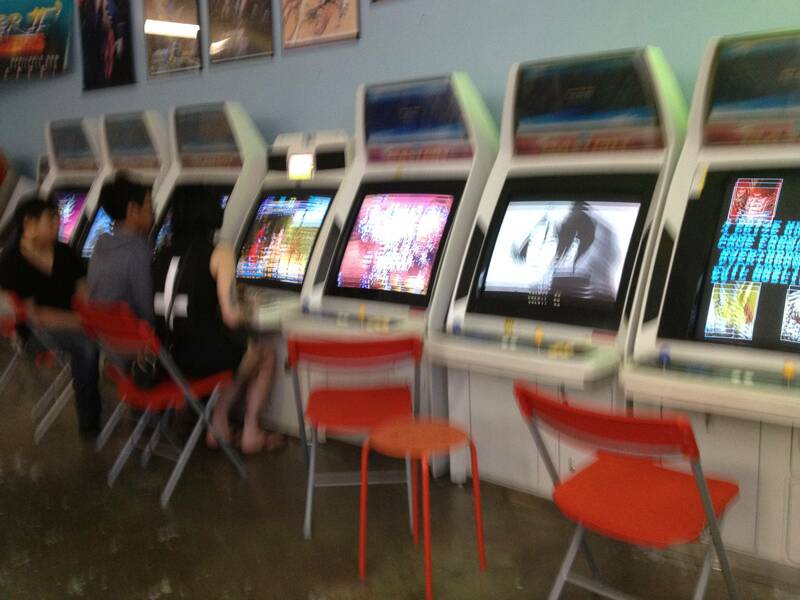 Of the ten classic arcade games that were up and running, I only saw one (X-Men) being played. A couple of the machines (including the 60-in-1 machine) had monitors so dim as to be borderline unplayable. Many of the machines featured on the Lost Ark's website were not on site when I visited. Like many arcades, non-working machines are often swapped in and out of service for working ones. Unlike the vintage machines, the store's candy cabs were bustling with activity. The candy cabs consisted of fighting games and SHMUPs and were busy all day. The Lost Ark is only a token's throw from the local college, and I suspect it has become a popular hangout for students. I know if I lived anywhere nearby, I would be a frequent Ark patron. 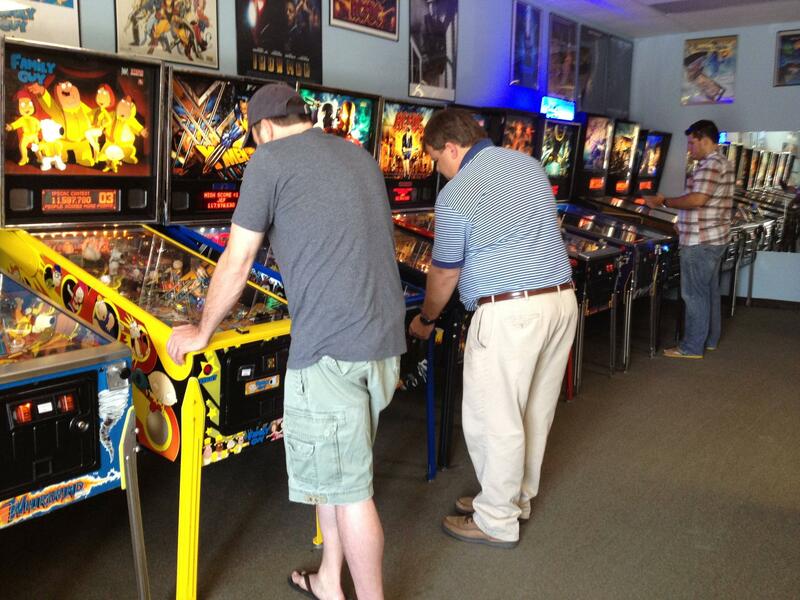 Last up were the store's pinball tables, and what a collection of tables it was. Tron. AC/DC. Whirlwind. Earth Shaker. Dirty Harry. Family Guy. X-Men. Iron Man. The list (and row of machines) went on and on. While I consider myself to be an "arcade" guy, the Lost Ark's selection of pinball tables is outstanding -- phenomenal, even. While I don't consider myself to be a huge fan of pinball, between the flippers is where I spent most of my tokens. I particularly enjoyed the range in games, with tables spanning at least 25 years in age. I came for the arcade machines and stayed for the pinball; for me, that's definitely saying something. Smaller in scale than many of the other modern retro-themed arcades I don't know that the Lost Ark has enough draw to warrant out of state gamers in; that being said, every retro gamer in the triad area or simply passing through North Carolina on I-40 should make an effort to stop by. Whether you're in to classic arcade games, modern fighters, pinball action or console games from every generation, you may find what you are looking for at the Lost Ark.